The N.C. Chronicles. 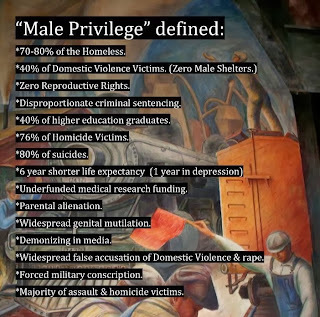 : The realities of "male privilege". From men's point of view. 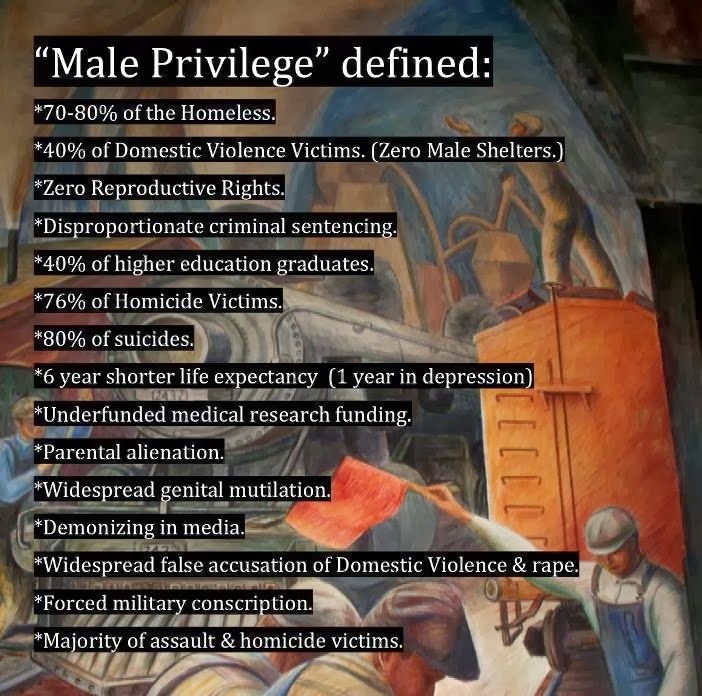 The realities of "male privilege". From men's point of view. 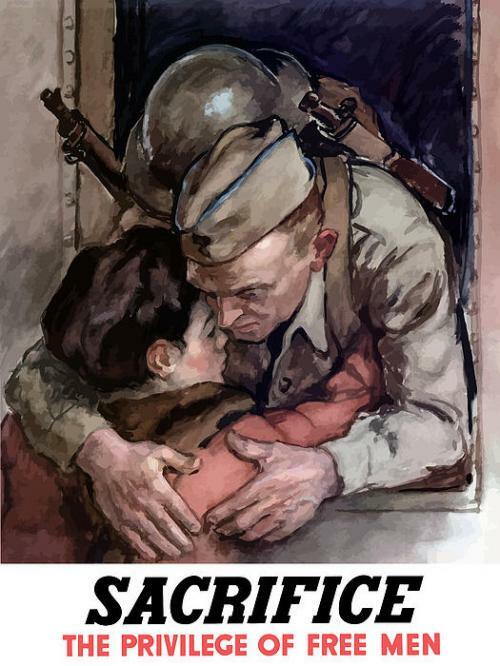 As a man, you protect the rights of everyone with your life, including the feminist and the mangina.